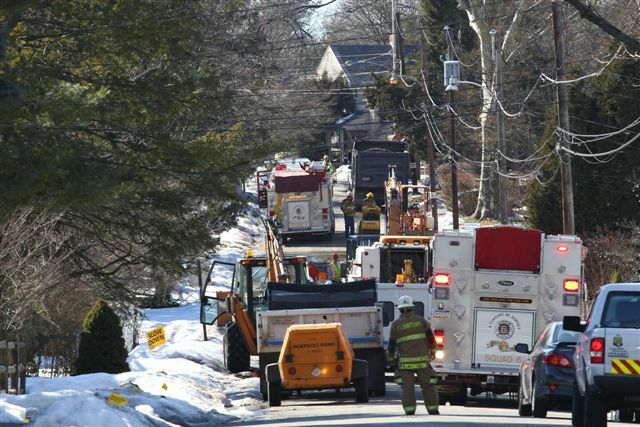 At 12:47 PM on Monday, February 14 a crew working on installing a new water main in Weiss hit a 3 inch gas main. Squad 6 and Engine 6 responded and Fire Police shut down access to the street from both Bethlehem Pike and W. Mill Road. PECO soon arrived on the scene and clamped off the ruptured pipe.